The relationship between India and Singapore dates back hundreds of years, to the 14th century when Singapore served as a stopover between India and Southeast Asia. The two countries became even more closely tied together during the Colonial Period through 1867, while British Singapore was under the governance of the East India Company out of Calcutta, India. Today the two countries have a great deal to offer one another. Singapore’s strategic alliance with India helps build Singapore’s reputation as a valuable investment hub with strong links to a resource-abundant region. India continues to grow both economically and politically, taking on an increasingly important role in international politics. As a result, India and Singapore are each in a unique position to supply the other with resources and support. Because of its reputation as a world-class business environment for setting up a company or business, Singapore has much to share with India. As neighbors, allies and trading partners, Singapore offers India an impressive array of competencies in business management and development, technology, ethical governance, public housing, urban redevelopment, mass transit and airport management. The establishment of industrial parks in India as a joint venture with Singapore is helping India simulate a ‘Singapore-styled’ business environment. The international marketplace becomes more globalized every day. In increasing numbers, international companies and entrepreneurs are beginning to explore the benefits of relocating their businesses and branch offices to other countries that can provide them with low corporate tax rates, an educated and skilled workforce, and a more streamlined regulatory system. Singapore’s favorable tax rates and pro-business environment combine to create the ideal setting for business owners considering a major move for their company. As a result, Singapore and India occasionally find themselves locked in competition with one another in their race to attract new corporate citizens. Rated the “world’s best business environment” by the World Bank, a growing number of businesses and entrepreneurs are placing Singapore at the top of their short list of countries to call their new home. India came in at #132 in the ratings. Many corporations also consider India an attractive alternative for business relocation. The level of Foreign Direct Investment (FDI) in India has increased significantly in recent years. After Mauritius, Singaporeans invest the second largest amount in India, with the United States investing the third largest at $15 billion USD. Doing business in India is becoming more efficient, with India listed among the top 40 nations carrying out the highest number of business regulation reforms in recent years, most of these directly impacting business operations. For ‘ease of doing business’ Singapore outranks India, providing business owners with the option of having their businesses up and running in 1-2 days. In India, one can have one’s business up and running in 30 days. Singapore has what many consider an open policy regarding foreign ownership, with 100% foreign ownership and shareholding allowed across all business sectors. No prior approval is required on behalf of Singapore authorities, and there are no restrictions on the types of business activities or fields open to foreigners. By comparison, India has a fairly restrictive policy in place concerning foreign ownership, with 100% foreign shareholding allowed only in certain business sectors. India also places caps on investment limits for certain types of businesses. Boasting one of the world’s most favorable corporate tax schemes, Singapore’s corporate tax rate is just 8.5% for profits up to S$300K, then a flat 17% for profits above S$300K. There is no dividend or capital gains tax in Singapore. India’s corporate tax rate is significantly higher. The country levies 30.9% for taxable income up to INR 10 million, and 33.9% for taxable income above INR 10 million. India’s dividend distribution tax rate is almost 17%, and its capital gains tax ranges from 15-20%. Today Singapore and India consider each other “valued partners,” as India moves forward with ambitious plans for developing its infrastructure, which is expected to cost about one trillion dollars in coming years. Both countries are seeking ways to work together on issues such as security and national defense, while Singapore continues its support of India’s permanent membership on the UN Security Council. 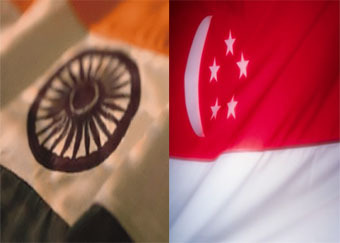 With so many shared concerns in the region and the world, Singapore and India possess a strong, natural bond. As each country continues to grow and prosper, it is inevitable that they will continue to dominate in matters of business and economics. Blessed with intellectual capital, a sophisticated workforce, and a highly efficient pro-business government, Singapore is expected to continue in its role as a global business leader. With the ongoing refinement of its policies and politics, India is gaining ground and plotting its own path to becoming a global powerhouse in terms of both business and foreign policy. This article was contributed by Janus Corporate Solutions – a leading Singapore-based firm that provides cost-effective company incorporation, accounting, tax, and on-going compliance services to startups and mid-size businesses. 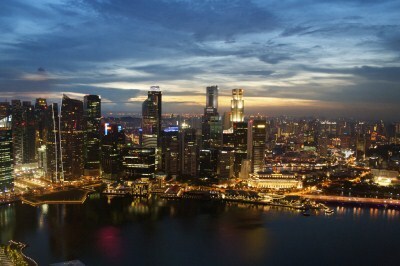 For more information, visit their website at www.GuideMeSingapore.com.